Karen is on a mission to visit all 50 states of the US. With only four states to go, we decided to take a long weekend over Independance Day to check another one off of the list. Arkansas is a neighboring state to Texas, so a road trip was in order! We reached out to our foodie friends on Instagram to get recommendations on what part of Arkansas to target. We heard a lot of praises for Fayetteville, a few recommendations for Little Rock, and then a tip to visit little-known Hot Springs, Arkansas. The name itself was intriguing enough! We began our research and realized that this is a perfect location for a road trip. Hot Springs is about an 8 hour drive from Austin, Texas. We decided to stay the night in Dallas in order to break up the drive, which made this road trip super easy. Hot Springs is a small, yet historic town located in the Ouachita Mountains in Hot Spring National Park. Birthplace to Bill Clinton, Hot Springs sits on natural thermal hot springs, as 47 springs on the western slope of Hot Springs Mountain leads downtown into the city. About a MILLION gallons of 143 °F water flows from the springs each day. The water was thought to have healing powers, which led Hot Springs to be a thriving city in the start of the 20th century. Major League Baseball brought legends such as Babe Ruth here for spring training, notorious gangsters like Al Capone frequented the bars and clubs, and people from all over the world traveled to Hot Springs to bathe in the “healing” spring water. The entire town has a feeling of history and mystery. The local mines are the source of many gemstones and minerals. You’ll notice many gift shops along the row of old, grandiose buildings are selling geodes and crystals. In fact, you can even mine for your own gemstones nearby. Arkansas has the world’s only diamond mine that is open to the public. It is a 37 acre plowed field that is the surface of the world's eighth largest diamond-bearing volcanic crater. What’s cooler? If you find a diamond there, it is yours to keep! While we didn’t have the time (or the energy) to mine for diamonds, we did have a fantastic stay and at delicious food while visiting Hot Springs. Explore Old Town - Old town Hot Springs is a great place to wander. We enjoyed the historic architecture of the bathhouses and neighboring buildings. Shop your heart out at Bathhouse Soapery for body scrubs, bath salts, oils and lotions. We bought some wine scented bath salts! Pop into gemstone shops to learn about the healing powers of the minerals and crystals mined nearby. Grab some sweets at any of the ice cream and candy shops along Central Avenue. Prior to coming to Hot Springs, we worked to research lodging. We found this to be a little tricky. There were cute cottages on Lake Hamilton as well as hotels across the town. Bathhouse row also offered historic hotels, with old-time furniture and details. 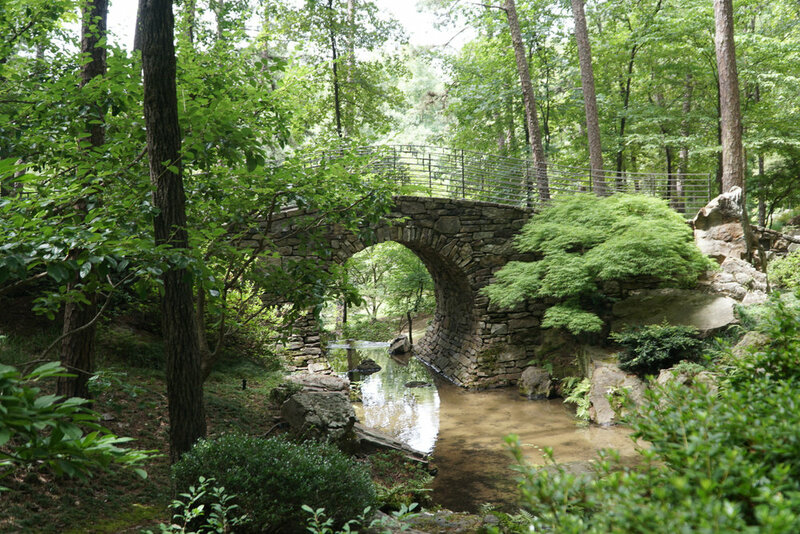 We hope this guide inspires you to spend a long weekend in Hot Springs! With three states left to go, you know you’ll see us wrapping up all 50 US states in no time!